From the moment that tens of thousands of Egyptians took to the streets to protest President Mohamed Morsi’s power-grabbing constitutional declaration, western journalists largely assumed that Morsi would back down. From their vantage point, criticism of Morsi’s move from within his own government, threats of judicial strikes, and the sheer magnitude of popular anger could force Morsi, in the words of The New York Times, “to engage in the kind of give and take that democratic government requires.” So when Morsi met with judges on Monday evening and promised that his newly declared powers only applied to ill-defined “acts of sovereignty,” both the Times and The Washington Post reported that Morsi had accepted limits on his power. But it was not to be: Morsi’s assurances were only verbal and, as his colleagues in the Muslim Brotherhood emphasized, the original declaration remained unchanged. And rather than conceding anything, Morsi doubled down on Wednesday, commanding the Islamist-dominated constitution-writing body, which non-Islamists had almost entirely abandoned, to finish its work within 24 hours despite secularists’ mounting protests. Nobody should have expected otherwise, because Morsi’s political biography suggests that he is not a compromiser. Prior to last year’s uprising and his subsequent emergence as Egypt’s first civilian president, Morsi was the Muslim Brotherhood’s chief internal enforcer within the Guidance Office, steering the organization in a more hardline direction ideologically while purging the Brotherhood of individuals who disagreed with his approach. In this vein, Morsi led the Brotherhood’s 2007 efforts to draft a political platform that called for restricting the Egyptian presidency to Muslim men and establishing a council of Islamic scholars to approve all legislation for its sharia-compliance. When Brotherhood youths blogged their disapproval with these provisions, Morsi reprimanded them sternly, and some of them abandoned the Brotherhood shortly thereafter. Two years later, when deputy supreme guide Mohamed Habib and longtime Brotherhood leader Abdel Monem Abouel Fotouh advocated for more open political procedures within the executive Guidance Office, Morsi purged them as well. While Morsi’s bare-knuckles approach alienated Muslim Brothers who wanted the organization to remain focused on dawa, or Islamic preaching and the provision of social services, it impressed those Brotherhood leaders who wanted the organization to undertake a more political role. Known as Qutbists for their adherence to radical Brotherhood theorist Sayyid Qutb’s politicized interpretation of Islam, these Brotherhood leaders emphasize “the necessity of developing a detached vanguard that focuses on recruitment and empowering the organization,” according to former Muslim Brother Ibrahim El-Houdaiby. Though generally distancing themselves from Qutb’s embrace of violent jihad, Brotherhood Qutbists view ideological uniformity as essential to the Brotherhood’s efficient pursuit of power, and therefore embraced Morsi’s anti-pluralistic policies by giving him important political responsibilities. As FJP chairman, Morsi’s uncompromising demeanor proved vital to the nascent party’s success. Despite initially forming a political coalition with approximately forty other parties, Morsi stubbornly insisted that FJP candidates run for 40 percent of the coalition’s seats. The coalition crumbled as a result, allowing the FJP to run its candidates for approximately 77 percent of the parliamentary seats, and it ultimately won a 47-percent-seat parliamentary plurality. Of course, Morsi tried to appear more outreach-oriented during his brief presidential campaign. Thus, in the week before the elections results were announced declaring him president, Morsi met with a broad spectrum of non-Islamist leaders and revolutionary youths, and promised to rule collaboratively, including by appointing female and Christian vice-presidents. 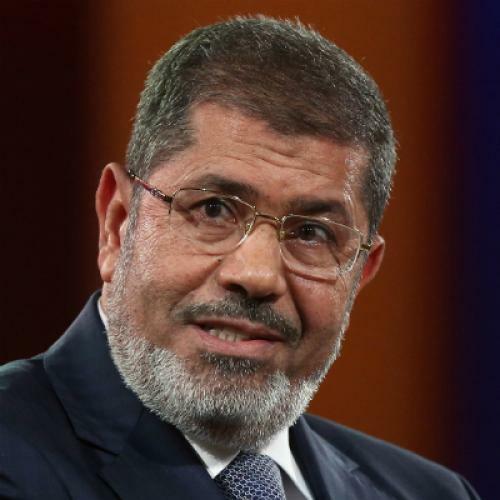 But unsurprisingly, Morsi declined to deliver: he ultimately surrounded himself with Brotherhood-affiliated advisers and filled his cabinet primarily with Muslim Brothers and non-ideological technocrats. Morsi is also unlikely to compromise because of his intimate familiarity with the Brotherhood’s unparalleled mobilizing capabilities. Specifically, the Brotherhood is structured such that its Guidance Office can direct thousands of five-to-eight-person cells known as “families,” which are situated in practically every Egyptian neighborhood, to any location that it chooses. During last year’s revolution, this structure was vital to ensuring a mass Brotherhood turnout at the uprising’s most pivotal moments, and Morsi himself was responsible for commanding Brotherhood cadres’ activities within Tahrir Square. The Brotherhood remains extremely confident that it can overwhelm its current opponents, and Morsi is unlikely to respond to protests that his own supporters can exceed. This is, in fact, precisely what the Muslim Brotherhood will do on Saturday, when it will unite with Salafist organizations and hold a mass demonstration in front of Cairo University. For Morsi, the Islamists’ inevitably impressive turnout will likely affirm his claim that “around 90 percent” of Egyptians support him, and validate his attempt to rush the Islamist-drafted constitution to a national referendum. But for Morsi’s secularist opponents, the Islamists’ mass mobilization to support a naked power grab represents a call to arms, and they are bracing for the worst. No matter what happens, it can’t end well. The imposition of autocratic rule never does.